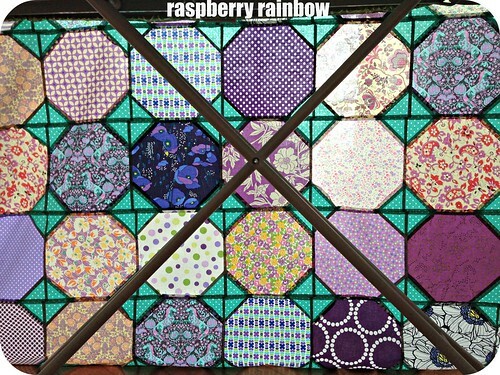 Raspberry Rainbow: A purple quilt for my big girl. A purple quilt for my big girl. 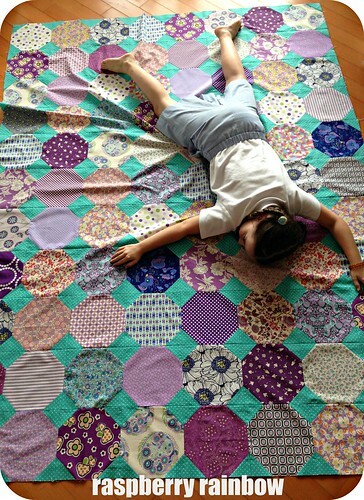 Way back in August of 2013, I began planning (on paper) a quilt for my big girl. At the time she was 7 years old. I had been collecting different red fabrics for her, as she loved red back then, but she decided her new favourite colour was purple. 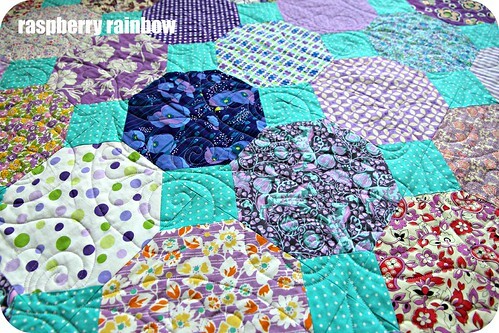 She chose the snowball (octagon) quilt block and I was very lucky to find a few metres of the turquoise dotty fabric in my stash, it matched the purples I began collecting beautifully. 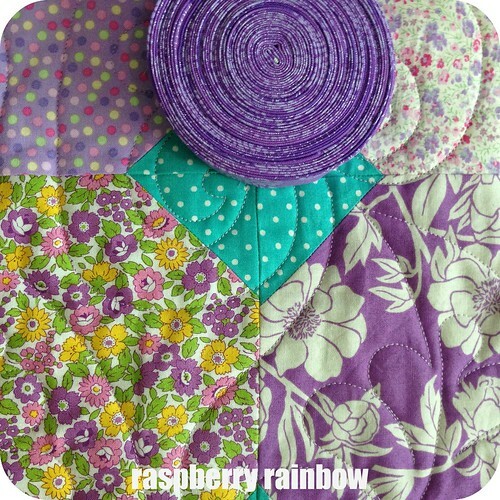 Over many months I cut fabrics and slowly sewed the blocks. I finally sewed the blocks together in May of this year (2015). My big girl was thrilled. I was relieved it was finally (almost) finished. 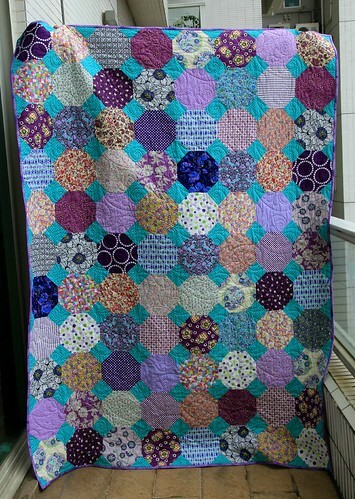 There are no long arm quilters here in Hong Kong, I arranged for this to be quilted in Melbourne on our next trip (in July/August of 2015). It was quilted by Anita of Hillside Quilting. My big girl chose the quilting pattern and the binding too. I wish I could say why it took so long to finish. I will admit I get easily distracted and start other projects. It is finally finished. That is all that matters to my big girl. 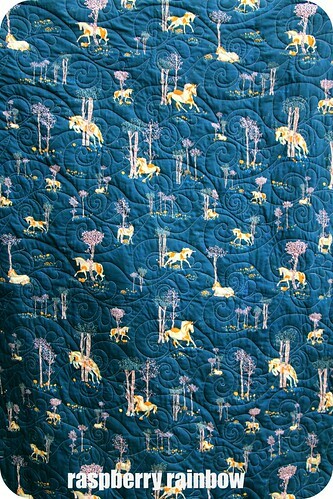 The backing fabric my big girl chose, it is called Unicorn Fable in Balsamtree. It is from Art Gallery Fabric, designed by Sara Lawson. The range is called Fantasia. Her new quilt is on her bed, she can snuggle up to her very own quilt, made with love, just for her. Absolutely gorgeous. Anita did a great job too.